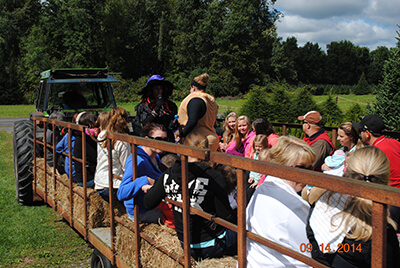 Chengarian’s Tree Farm celebrated their 40th Anniversary during Fall, 2014 by hosting a Maureen’s Hope Hayride and donating rides to the families of children that have been touched by cancer. 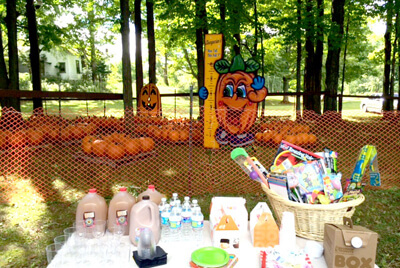 The theme was from the movie “Frozen” and families were treated to cider and donuts after the ride. 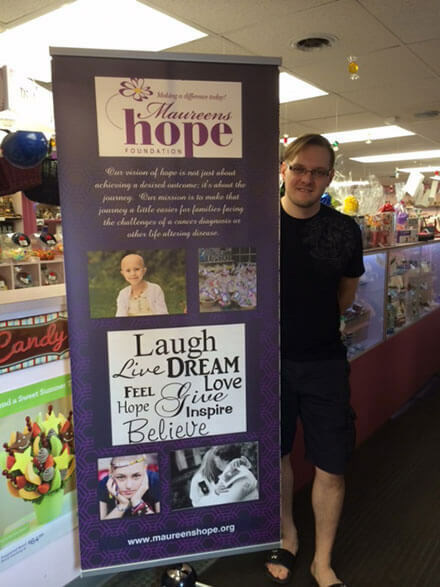 Speech Family Candy Shoppe, located at 2400 Lodi Street, Syracuse will be donating a portion of the proceeds of sales during the month of August to Maureen’s Hope Foundation. Thank you to Mike Speech for his commitment to making a difference today! We Will Forever Remember This Event! The Rockville Centre St. Patrick’s Parade first stepped off on March 22nd 1997 and has over the course of 10 years become one of the best attended and supported parades outside of New York City. 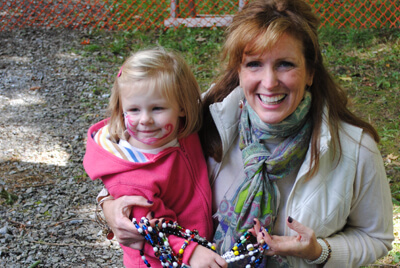 The Rockville Centre St. Patrick’s Parade annually shares its success with three worthy charities, which are National, Irish, and Rockville Centre focused. 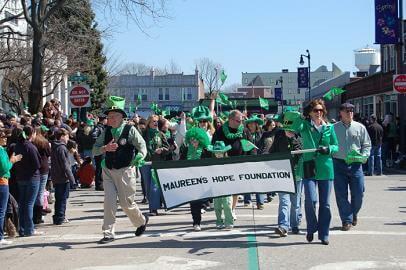 Maureen’s Hope Foundation was selected as one of the charities to receive proceeds in March of 2009. This was truly an honor for the foundation as our family roots are in Long Island. Over 15,000 people attended the parade and it was surely a day we will never forget. A donation of $22,000 was made to the foundation! 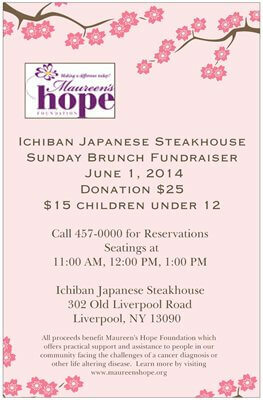 Thank you for helping this year’s event help raise over $9,200 for Maureen’s Hope!